So it is good news if you are a fan of Harrison Ford and the Indiana Jones film series, as it has now been confirmed Indiana Jones returns in a new film slated for release in 2019. Not only is Harrison Ford on board but Steven Spielberg has also been confirmed for the movie. I suppose the question is, are you thrilled by this news or would you like to see another actor take over the iconic role? For me the answer is yes I’m thrilled to see Ford in one last outing and as for a new actor coming in, it would have to be an emphatic no. If Ford and Spielberg don’t want or more likely can’t do anymore why not just leave us with the great movies rather than rebooting in the future. Anyway that discussion is indeed for another time, sometime after 2019 if all goes well. A true classic I’m sure you will agree and where it all began. Not the last crusade as it turned out, but who can forget the great performance that Sean Connery puts in as Indys Dad! They do like long titles don’t they? So we will just have to wait and see if Spielberg and Ford can reproduce some film magic one last time when Indiana jones hits our screens in 2019, here’s hoping. Looking for more movie related content? 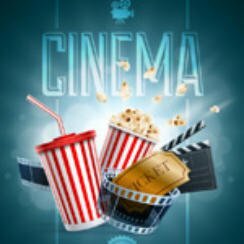 Why not check out the rest of the site, take part in one of our movie quizzes or peruse one pf our recommended movie reviews.